Peter Pan is the boy who would never grow up. He is a courageous albeit careless and self-centered young boy, eager to make friends and go on adventures. After befriending Wendy Darling and her brothers John and Michael, Peter Pan gives the directions to Neverland as being "second star to the right, [and straight on till morning]". Peter's first layer with this name smells of starfruit - second starfruit to the right, to be precise. The middle layer is scented with sweet maple wood for the pan flute Peter often plays. Finally the last layer, Neverland Forest, is just as magical and aromatic as you would expect its namesake to be - a medley of fresh forest trees mingled with light florals and mysterious herbs. We don't want to grow up, and hope you don't either- but maybe not never. Never is an awfully long time. A tiny, cheeky, quick-tempered fairy, Tinker Bell provides the fairy dust that allows Wendy and the boys to fly to Neverland with Peter Pan. Despite her being difficult to tolerate at times, Tink is a very helpful little companion to Peter in his journey to defeat Captain Hook. 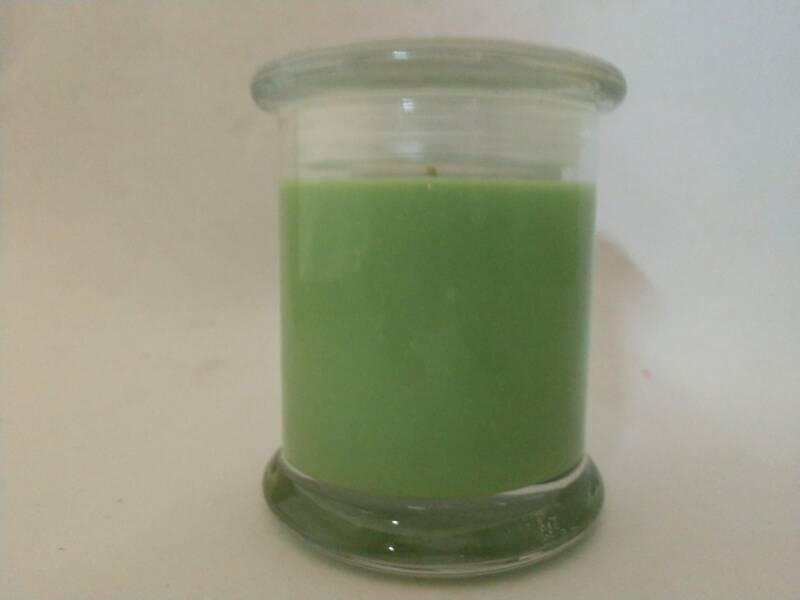 This fairy-green candle is full of glittering fairy dust and smells of it too! 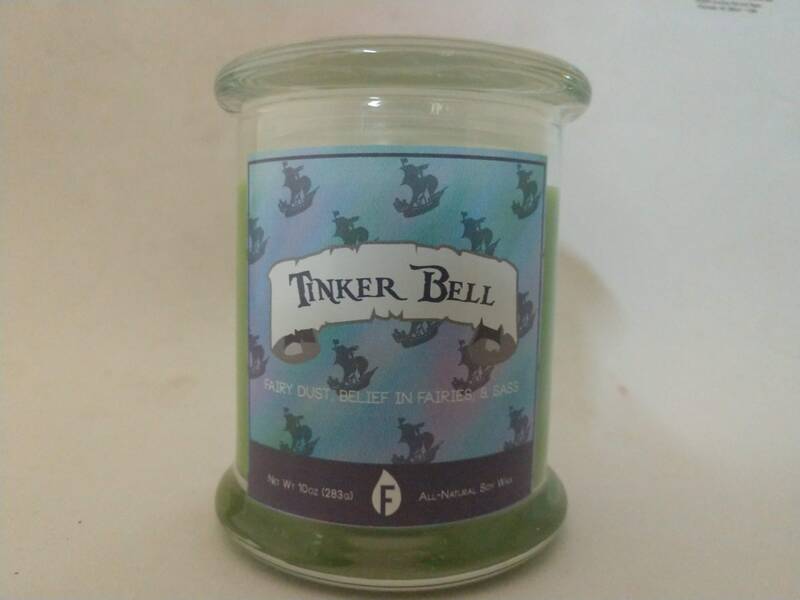 Tink's special abilities, unparalleled sass, and the collective belief in fairies is manifested by a blend of bright and sparkling scents. 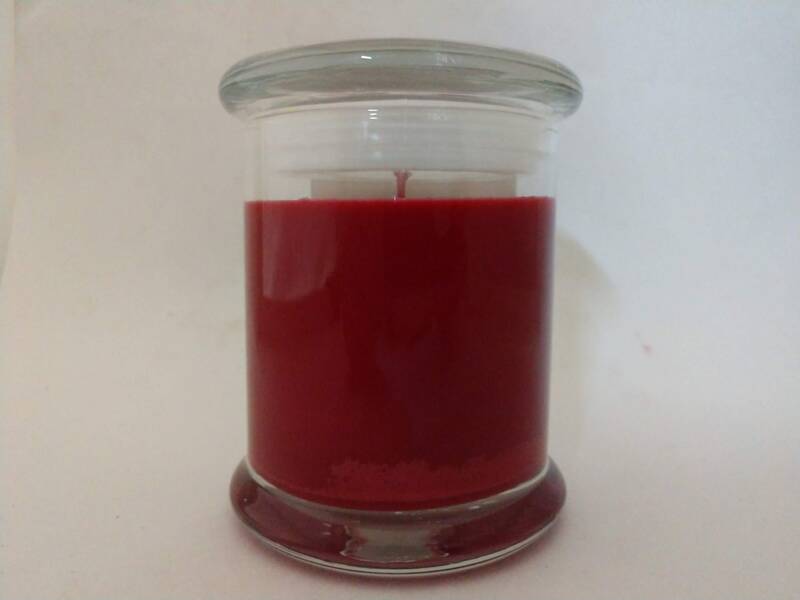 Effervescent lemon and lime play with a hint of sassy mint over a light, feminine perfume, giving a perfect fragrance to embody everyone's favorite fairy in one magical candle. The pirate captain of the Jolly Roger, Captain James Hook, is obsessed with the crocodile that consumed his severed hand cut off by the one and only Peter Pan. After swallowing a clock, an ominous ticking noise coming from inside the crocodile warns Captain Hook of its presence and Hook manages to avoid it... for the time being. 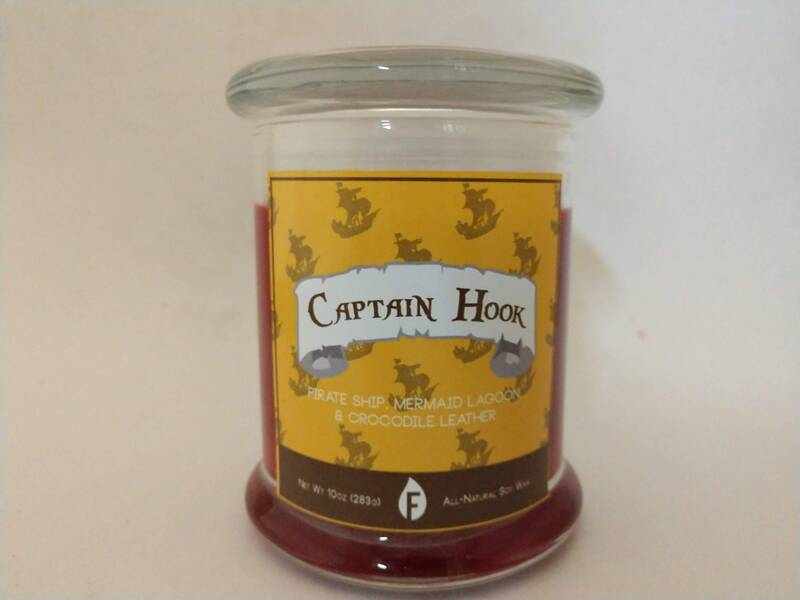 Captain Hook's bold red candle is scented with cedarwood and exotic Amazon teakwood for his pirate ship, the ocean breeze and sea salt aroma of the Mermaid's Lagoon where Hook first fought Peter, and crocodile leather (something Hook only wishes he had). Proud and insolent youth, prepare to meet thy doom!